Orkidea’s last single venture, the purer-than-pure ‘Purity’, stoked floor fires bright throughout the autumn. Drawing substantial deck & radio show rotation from Armin van Buuren and multitude of other tier-1 DJs, press-side it was hailed is as “a real treat!” with Tilllate scoring it a red-hot 9.5/10. The UK’s DJ Mag meanwhile described it as having a “doomy dash of ‘Bladerunner’ with several tablespoons of ‘Oxygène’ about it”. For his next release, the flying Fin, delves even deeper into the latter’s sonic gene pool, with a stunning retro-futuristic revision from the Jean-Michel Jarre universe. He’s taken the legendary composer’s 1988 classic ‘Revolution Industrielle’ and, bringing all his accrued production knowledge to bear, repurposed it for 21st century clubbers. 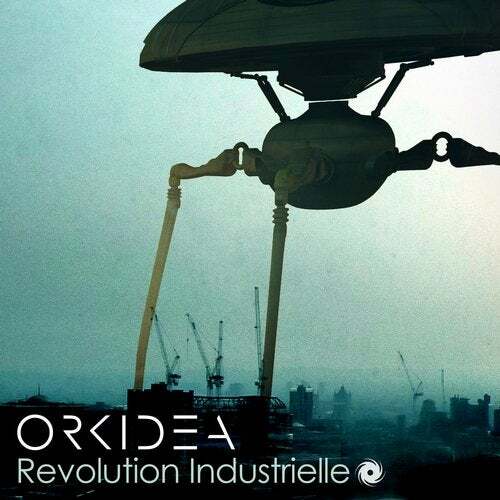 Orkidea brilliantly, assuredly recasts JMJ’s ‘Revolution Industrielle’ as a deep-into-the-night club floor titan, utilizing masterful chord transposal and emotion-spiking Roland D-50 synths to retain the original’s soundscape feel & drama. A release with one foot in the past… and the other most firmly in the future, to quote ‘Revolution Industrielle’ itself, it’s “today, tomorrow… forever”.